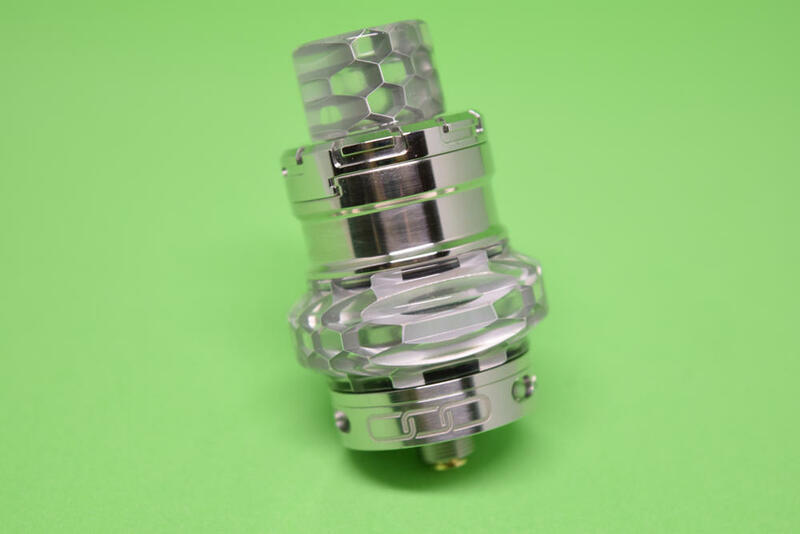 The Advken Manta is a 24 mm RTA that comes with two different glass tubes and features an innovative side airflow design to give users a more flavorful vape. I had personally never heard of Advken prior to this review, but having gotten to use their clever little RTA, it’s definitely a company I’ll be watching out for in the future. 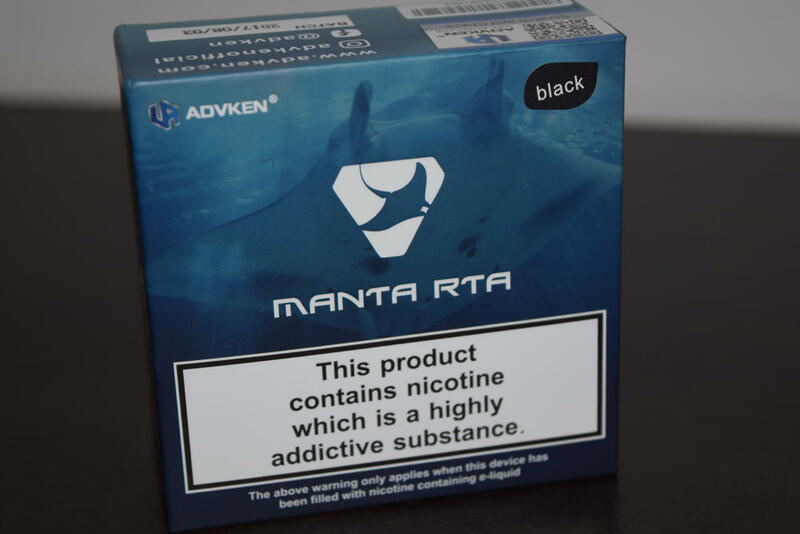 The Manta RTA comes in a small, square cardboard box, with the Manta logo and a manta ray background on the front, and a list of contents, company information, and the required legal warnings, on the back. 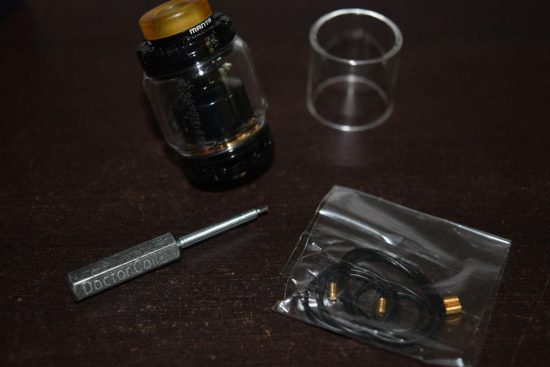 The kit contains the 24-mm Manta RTA, a spare glass tube, a ‘Doctor Coil’ screwdriver, and a bag of accessories (o-rings, grub screws and a fine cloth). It’s a decent offering, and I particularly like the fact that Advken included two different types of glass tubes for the tank – a classic cylinder, and a ‘bubble glass’, which actually looks more like a jar and extends over the 24-mm stainless frame of the RTA in order to hold more e-liquid. I would have liked to see an adapter for 510 drip tips included in the box, but if you prefer 810, Goon-stye tips, it shouldn’t be too big of an issue. At 46-mm-tall, the Manta is relatively small for a 24-mm RTA, but thanks to the included bubble tank, it can hold up to 5 ml of juice. If you’d like the Manta to be slim as well, and don’t mind a reduced e-liquid capacity, you can just use it with the classic glass tube, which only holds 3 ml. Starting from the top, the Advken Manta RTA features a low-profile Ultem 810 drip with an elegant metal ring at the base which makes it look like it protrudes from the top cap even less than it actually does. I like the drip tip, honestly I do, but it’s a bit too low for my taste. I can barely fit my lips around it without touching the metal top cap, and that can be a problem when the metal gets hot. It looks good, but it’s definitely not the most practical Goon drip tip I’ve ever used. 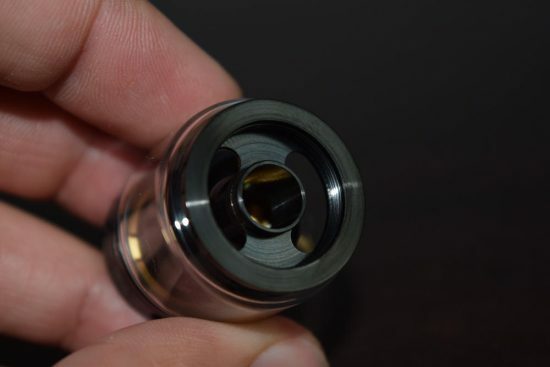 As I mentioned above, there is no 510 tip adaptor, but you can use other 810 drip tips, if you want. The top cap features some stylish knurling to make it easier to unscrew and reveal the two top-filing slots. They are large enough to fit virtually any kind of dropper or unicorn bottle, making filling the tank a breeze. The thing I don’t like about this particular top-filling system is that the top cap has too much threading, and while that may not seem like a big deal, it can be. Because the top cap has a lot of travel, when you screw it back down, you’re also creating extra pressure inside the tank, which pushes the juice down and can result in leaking. It actually happened to me a couple of times, until I figured out the proper wicking method to prevent leaks. 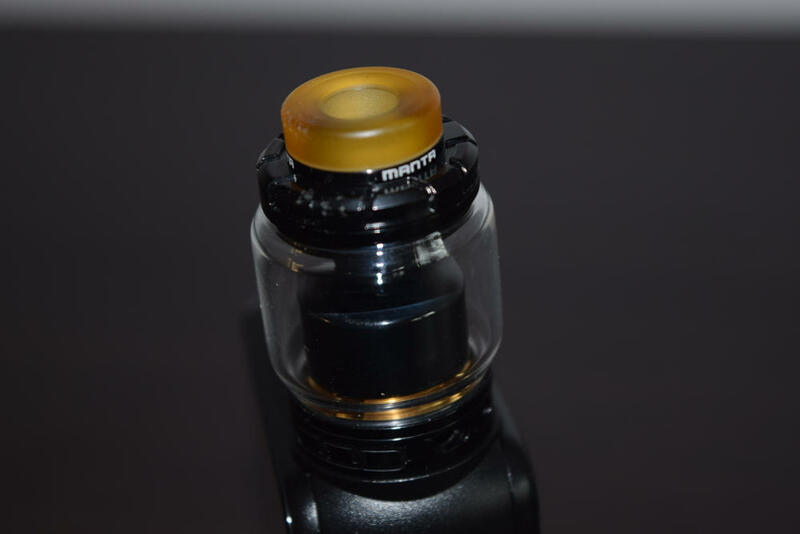 The chimney is fused to the top of the Manta RTA, so it’s not removable. 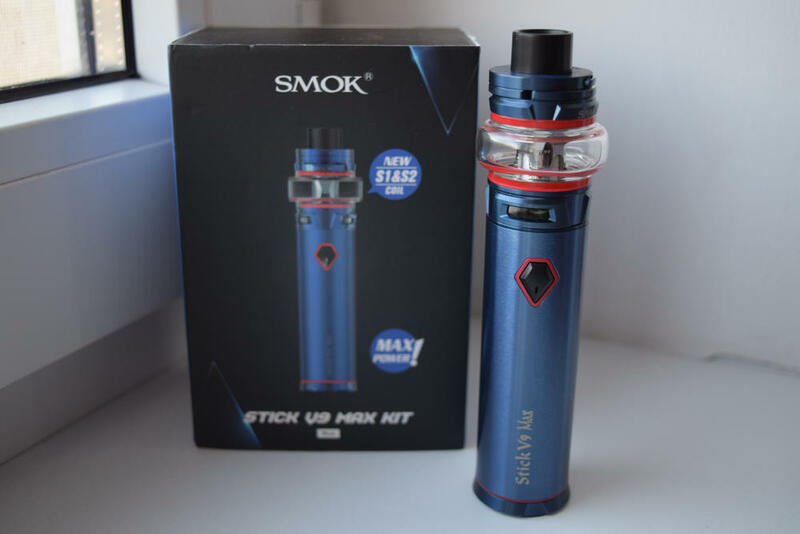 I like the fact that its is relatively short, which means that the vapor has a short distance to travel from the atomization chamber to your mouth, which ensures intense flavor. The base features an adjustable airflow ring, with three large air slots on each side. 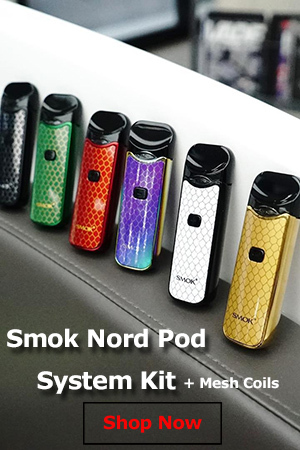 Two would have been more than enough, as there is virtually no difference between vaping with two air slots or three, but I guess Advken just wanted to make sure that no one complained about poor airflow. Definitely no chance of that when vaping on the Manta with all six air slots wide open. The Advken Manta RTA uses a staggered Velocity-style build deck, with four massive coil slots that should feature virtually any type of wire, from your standard Clapton to whatever exotic builds you prefer. It might look a little different, but this build deck is as easy to work with as the standard Velocity. This post design may be a bit older, but it’s still my favorite one, just because it makes mounting the coils so incredibly easy. The Manta deck features bottom airflow slots right under the coils, but it also has a smaller air hole right between the two posts, which ensures that the coils also get airflow from the sides. 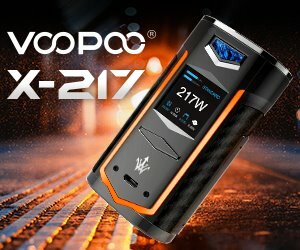 I didn’t pay much attention to this feature at first, but after vaping on it and getting blown away by the awesome flavor, I realized that it makes all the difference. The four wicking slots are pretty standard, but you have to make sure that you get enough cotton in them to prevent leaking, but not too much, to avoid getting dry hits. 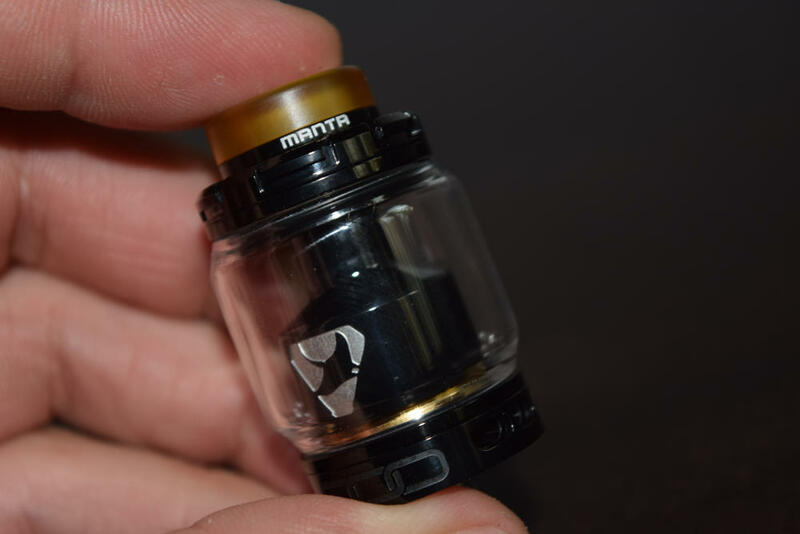 Like with any RTA, properly wicking the Manta is essential for an enjoyable vaping experience. If you’ve ever set up an RTA before, doing the same with the Advken Manta should be an issue-free affair. Thanks to the Velocity-style deck, mounting the coils is super easy, but I do recommend that you get them as close to the posts as possible, whithoiy actually touching it, to make sure that they don’t make contact with the chimney when assembling the tank. 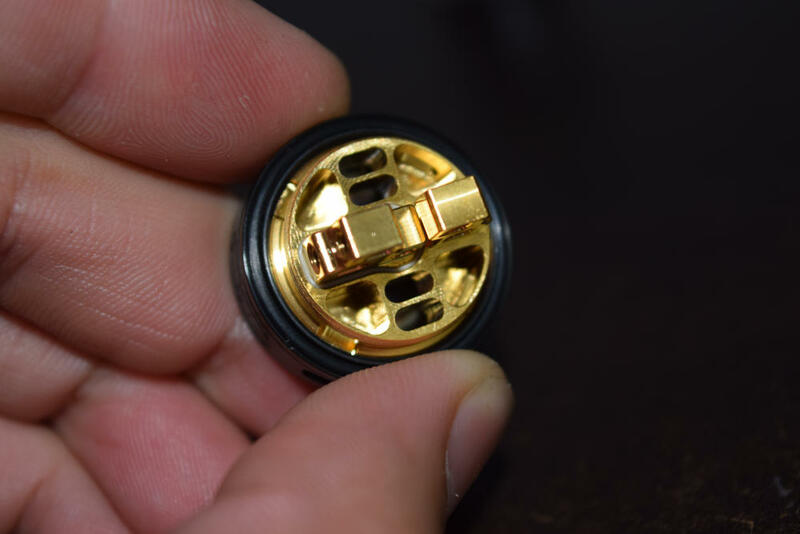 As always, wicking the coils is the most important part. Because of the pressure created when screwing on the top cap after filling the Manta, you have to make sure that the cotton insulates the wicking slots well enough to prevent leaks. But stuffing lots of cotton in there is not a good idea either, as it makes it hard for the e-liquid to reach the coils, which will result in bland or even dry hits. For some reason, most other reviews of this RTA don’t even mention this, but it’s a real problem. I recommend using moderate amounts of cotton, but brushing the ends of the wicks to make them fluffier. This will insulate the slots well enough, without actually hindering the juice from easily reaching the coils. I needed a couple of tries to actually get it right, but it can be done, so don’t despair. If you manage to get the wicking right, the Advken Manta rewards you with thick and flavorful clouds of vapor. I was about to give up on it after two failed wicking attempts and two tanks of spilled juice, but I’m glad I didn’t. This is a great RTA with a poorly implemented top-filling system. If they had simply opted for a swivel top cap design, like SMOK’s TFV12, or simply shorter threading, the Manta would have probably been one of my all-time favorite tanks, but even so, there’s no denying that it puts out great flavor and impressive vapor production. 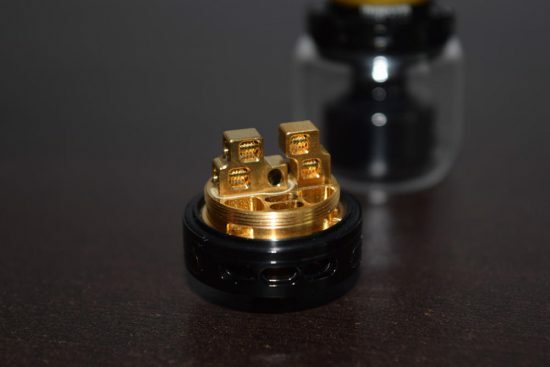 The adjustable slots on the base of the Advken Manta ensure that you always have plenty of airflow available, and the dual-airflow design of the build deck means that the coils are hit by air from both the bottom and the sides, which, coupled with the short chimney, guarantee excellent flavor. 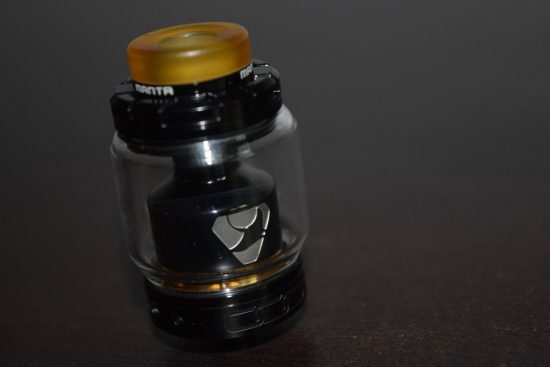 I didn’t mention it too often in this review, but the bubble glass is one of the most note-worthy features of the Advken Manta RTA kit. It holds a whopping 5 ml of juice, and I actually think it looks a lot better on the tank than the standard tube. I’ve been using it exclusively from the beginning, and I love it. As I mentioned, I did have some trouble with leaking, but only until I figured out the right way to wick the Advken Manta. It’s been dry as a whistle ever since, but I admit I keep a close eye on the slots at the base every time I refill it, to make sure it doesn’t start leaking again. 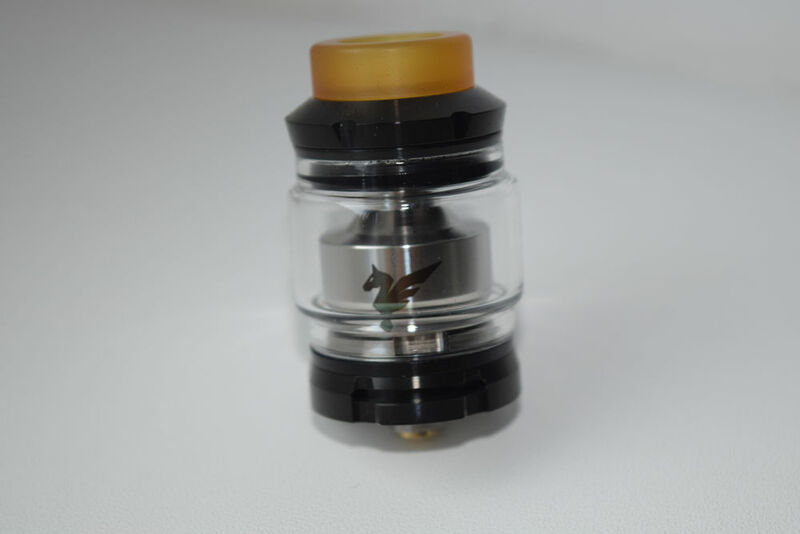 The Advken Manta is not a perfect RTA. It could use a better top cap design, the Goon-style drip tip is a bit too short and doesn’t come with a 510 adaptor, and the build-deck doesn’t have a single-coil option. That last one is a subjective con, to be perfectly honest. There are plenty of single-coil RTAs to choose from, and I actually prefer dual-coil builds, so it’s not a big problem, but I just thought I’d mention it. That being said, the Manta RTA does also have plenty of interesting features, like the cool bubble glass, the staggered Velocity-style deck that makes building a simple and stress-free affair, and the airflow design that guarantees excellent flavor and vapor production. Did I mention that this is also one of the most affordable RTAs money can buy? In my opinion, the positives outweigh the cons by quite a margin, so I would definitely recommend giving it a try.